Never happened before at the US Open that two Italian players advanced into the final…since 1881…for 134 years. 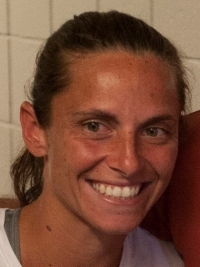 And now, in 2015, Flavia Pennetta and her long-time friend and double partner, Roberta Vinci face each other to decide about this year’s championship. Pennetta leads Vinci 5-4 and this will be their third meeting at Grand Slam level. Pennetta is the oldest first-time Grand Slam finalist in the Open-era with 33 years and 6 months, followed by Vinci with 32 years and 6 months. The winner will be the oldest first-time Grand Slam champion in the Open-era! Pennetta and Vinci have the oldest combined age at 66 years 19 days, of any Grand Slam final match-up since 1968. In the Open era, Marion Bartoli holds the record for most Grand Slam appearances before winning her first tile. 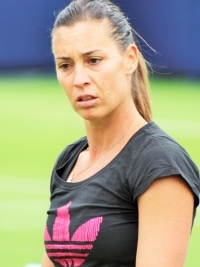 Pennetta is contesting her 49th Grand Slam here in New York.